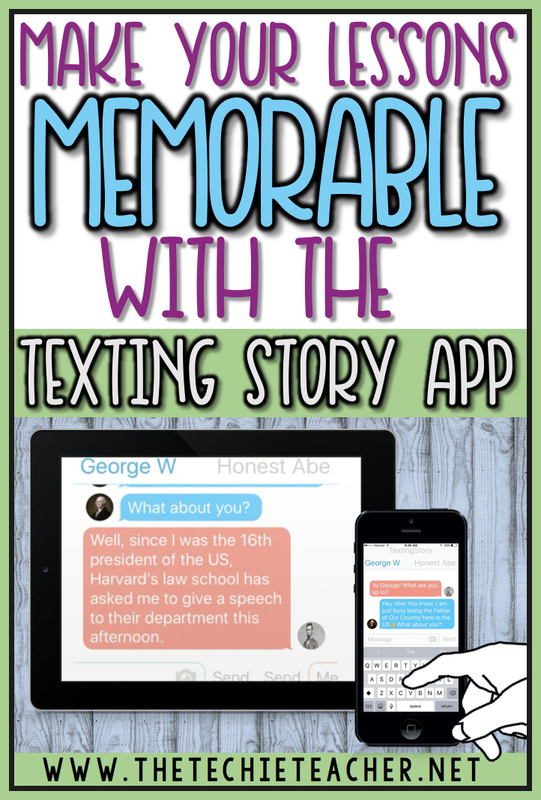 Make Your Lessons Memorable with the Texting Story App | The Techie Teacher® . Are you constantly trying to jazz up your lessons and engage your students? I know I am always on the hunt for new, innovative ideas to bring to the classroom that will excite learners of all levels. Several years ago Catherine Reed from Brown Bag Teacher wrote a blog post entitled Using Fake Texts to Connect with and Engage Students. As soon as I saw her ideas, I lit up! Today's students would be all over her activities. 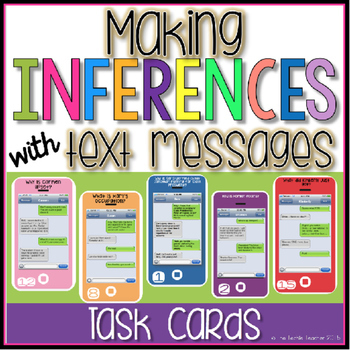 After all, I saw my students WANT TO LEARN when I used my Making Inferences with Text Messages Task Cards that are in the shape of an iPhone as well as my ConTEXT Clues worksheets. That's right, I DO have printable products in my TpT Store. 💁 I strongly believe that classrooms need to have a balance of digital activities as well as paper/utensil activities. 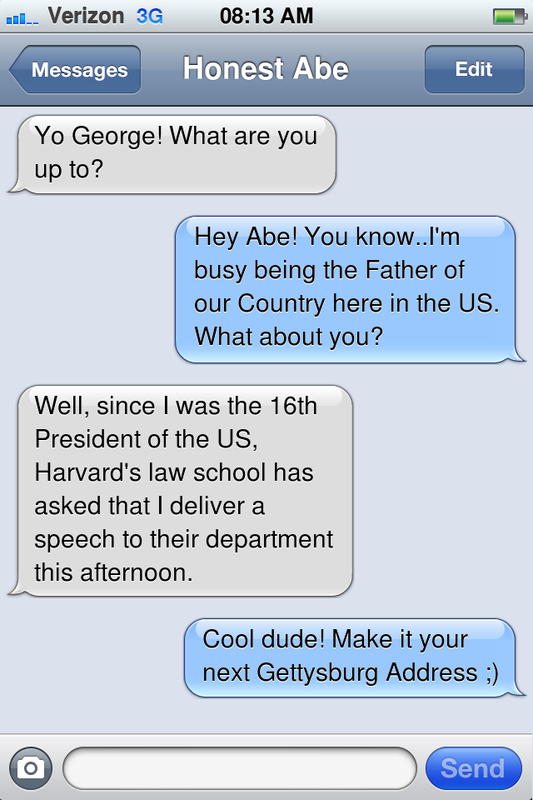 After seeing Catherine's post, I did a lesson with a 2nd grade class who used the iFakeText Generator to write a conversation between George Washington and Abraham Lincoln as if they were alive today. They LOVED it. It required A LOT of thinking for those 2nd graders to weave in as much information as possible but it ended up being a wonderful activity. THEN..last week..I saw a Facebook post from TechChef4u that was advertising the FREE app, Texting Story. Once again, I lit up! This app is so easy to use and very intuitive. You can even upload pictures for each character as well as send images and emojis🙌 in the texts. Note: It documents your every move. If you type a word/phrase and then delete to add something different, it will show up. The Clear Story button under Edit Story needs to be pressed if you want to start all over. Students would have a ball using this tool in the classroom and it would truly make your lessons memorable. What are some other ways we could use this with students? I hope Texting Story comes to the web for all of you Chromebook users! I haven't found a web tool like it. Let me know if you run across one that makes these type of texting conversation movies. In the mean time, check out Gone Google Story Builder. It is similar but instead of texting, students create a Google Doc interaction and can have multiple characters. I can just imagine kids reading texts from Fancy Nancy and Curious George. Julie, TechChef4U teaches about a mile from me at Westlake High School. I'll see her at iPadpalooza this summer. She is amazing! You are, too. My brain is churning with ideas for biographies and writing activities. 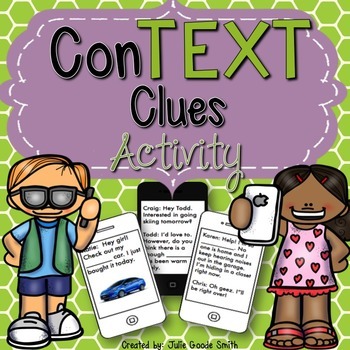 Students will love Text Story! No way! That's so fun!! Yay!! 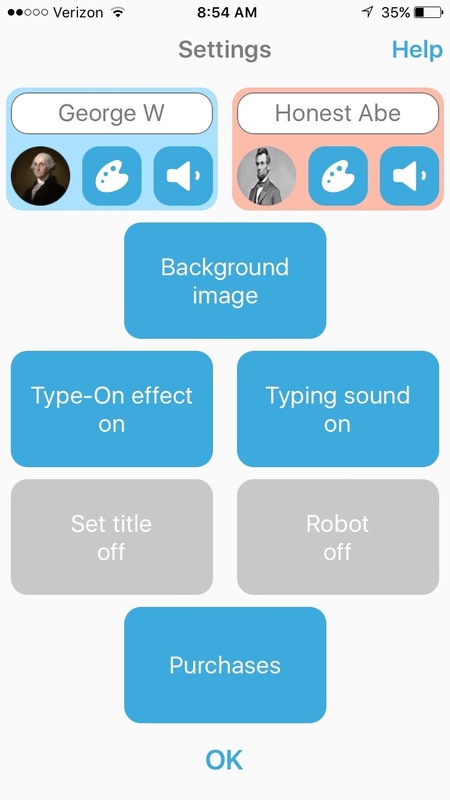 That sounds super fun :) To add photos, you have to tap on the actual text itself in order for the screen of options to pop up. Then tap Settings. The two areas where you type the names of the people talking pop up at the very top. Tap the circle for where the profile will appear. Adding photos is a FREE "in app purchase" so you might have to allow it if a message pops up. I didn't have to do that when I downloaded the app on my iPad a few weeks ago. I just tried it on my husband's and I DID have to allow the FREE purchase. Bizarre! Please feel free to email me if you still can't get it to work: contact@thetechieteacher.net. Thanks so much for stopping by! This is such a fun and engaging activity! As a reading teacher, I love the idea of having students explore characterization by texting between characters. This would enable them to take on the persona(s) and really think about the characters and context of the story! Thanks for the idea!